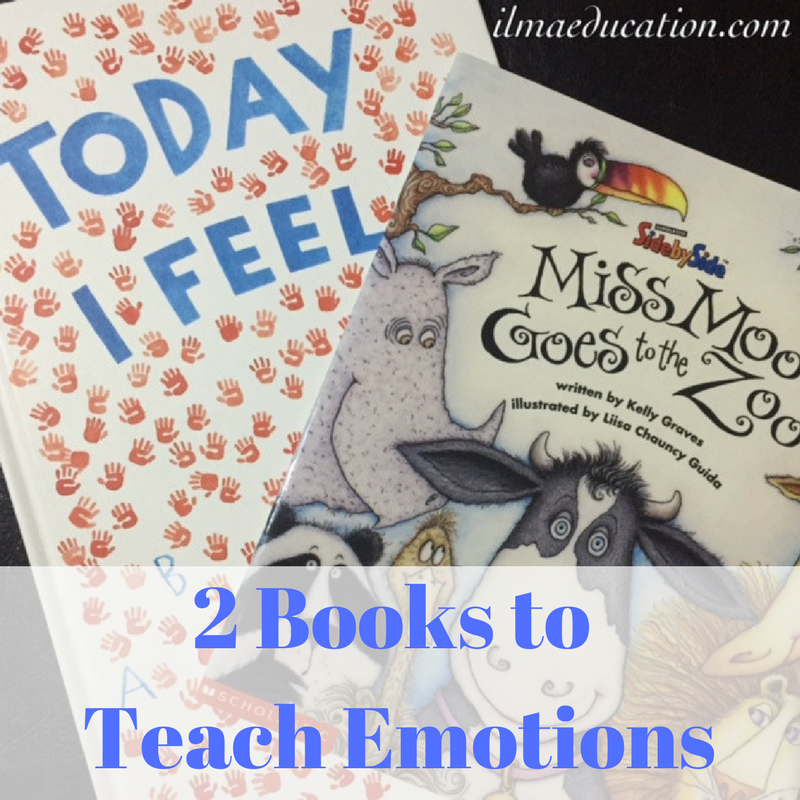 Teaching children about their emotions is a must for teachers and parents. 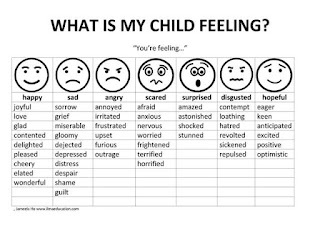 When you give children the tools to be able to label and talk about their emotions then they are less likely to act it out. Instead of giving in to their anger, frustration, guilt or even loneliness, they will feel comfortable talking to someone about it. 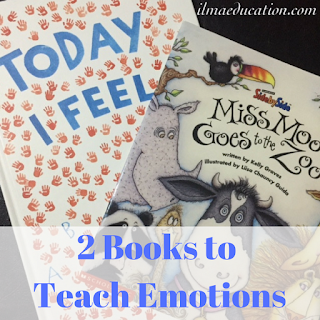 I've found two books that will help children to talk and understand emotions. The first is 'Today I Feel' and the second is 'Miss Moo Goes to the Zoo'. 'Today I Feel' is actually an alphabet book so it'll go through a list of feelings from A to Z. Each double spread page has the letter and a feeling word and a picture that describes that feeling. When reading this I'd ask the children about the picture, for example, "How is the little boy being kind in this picture?" They would describe it then I'd ask, "How might you be kind?" Some emotions might be hard for children to understand so I will explain about the picture such as, "This boy is so patient because he's taking his time trying to finish this huge puzzle. He doesn't get upset because he thinks he can't finish it and he doesn't complain that it's too hard. He tries to be patient and finish it." I'd then ask the children how might they be patient. It's excellent book for getting children to think about these emotions. As to the second book, what does a cow going to the zoo have to do with emotions? ...until she meets some nice and kind new friends in the end. Whenever I read this book, the children are very concerned and are empathising with Miss Moo. I can see it in their faces as they listen. I would always stress the point by asking, "How is Miss Moo feeling here?" and "Why?" It's a great book to talk about bullying and arrogance and kindness and friendships. 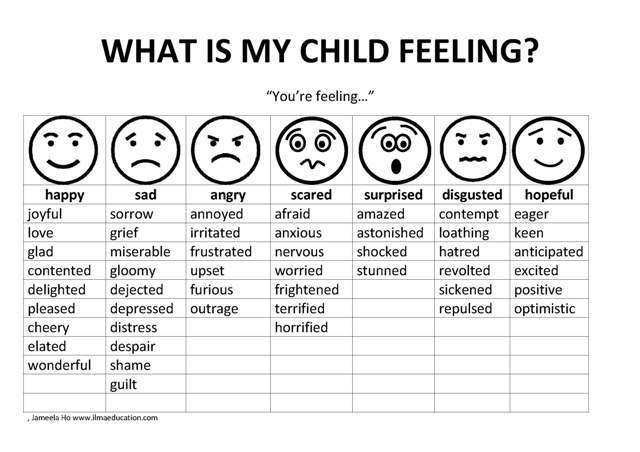 If you're interested, I've created this emotions chart a while ago to help teach children to label some basic emotions. Free immediate download.